Purchasing this item will earn you at least 251 GES RewardPoints! The peculiarity lies in the detail! 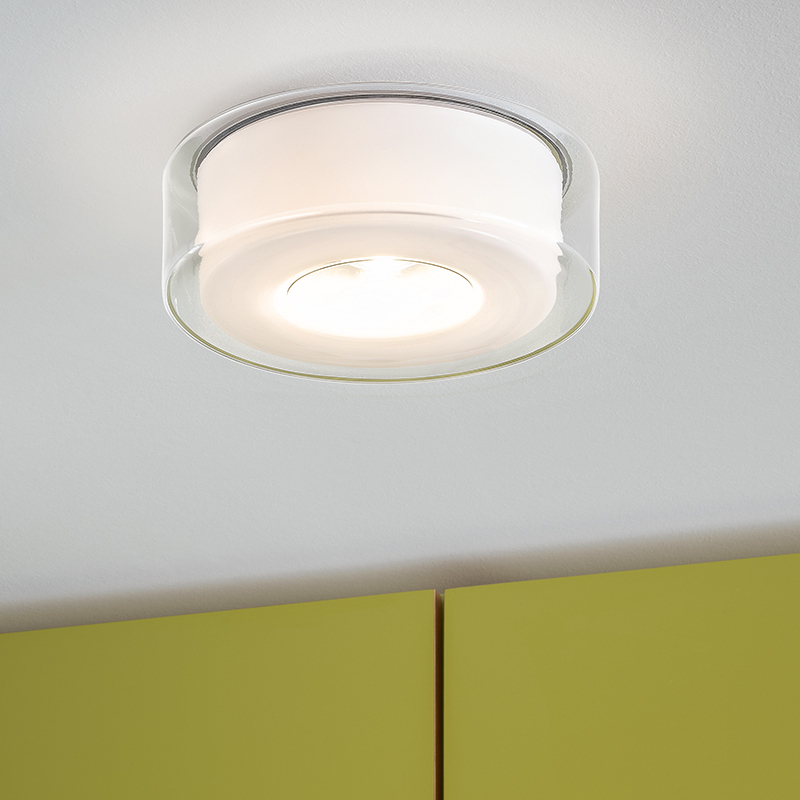 The Curling halogen ceiling light has been fitted by the manufacturer Serien-Lighting with versatile combinations of design and material details. For every space you can find the perfect lighting mood. The properties of light ranging from around gently dispersed, directed on down, have toward all round beam. The range is versatile. A total of four different versions of Curling are optionally available with or without reflector, with clear or opal shade. All versions are equipped with an optical insert is easily attached by magnetic points above the light source and for an optimal scattering of light with a soft, glare-free light ensures result.